Principles of Biomedial Informatics provides a foundation for understanding the fundamentals of biomedical informatics, which deals with the storage, retrieval, and use of biomedical data for biological problem solving and medical decision making. It covers the application of these principles to the three main biomedical domains of basic biology, clinical medicine, and public health. 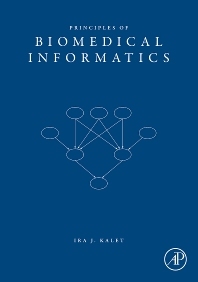 The author offers a coherent summary, focusing on the three core concept areas of biomedical data and knowledge representation: biomedical information access, biomedical decision making, and information and technology use in biomedical contexts. Advanced students and faculty in computing, bioinformatics and medical informatics academic programs; software engineers and programmers working in biotechnology, pharmaceutical, and medical records companies, and the medical imaging industry.